Beheading Tyrants is the first try at making an album since Aelin (2000), originally released in 30-CDR copies and later re-pressed in 2010 by Chris Black's (Pharaoh, High Spirits, Dawnbringer) own label Planet Metal (vinyl version on High Roller Records). “Beheading Tyrants” can be described as an EPIC METAL album with many DOOM elements. Imagine a crossover between “Sabbath Bloody Sabbath” and mid 80s Manilla Road instead, strengthen by a beautiful artwork reproducing Vincent Van Gogh’s “Autumn’s Landscape At Dusk”. 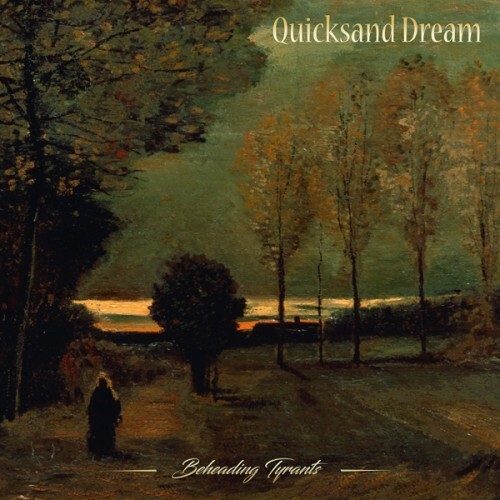 it's no surprise that it took Quicksand Dream 16 years to provide the follow up of “Aelin”. In some ways “Beheading Tyrants” is really an album from the past. Not the urge to follow a specific style’s features , but rather to give out something personal to a dedicated audience. Recommended for fans of Manilla Road, Solsitce, Cirith Ungol, Black Sabbath. RELEASE DATE: NOV 18 - WE SHIP NOV 10!